Aluminum façade elements have a lifetime of at least 75 years and a minimum 95% of it can be recovered trough recycling. This means that a total lifetime of 1500 years for Big Glass Reynaers aluminum product is possible! Aluminum is considered the most durable and long lasting window framing material and is the least affected from damage caused by hot and cold weather cycles, moisture, cracking and insect attack. 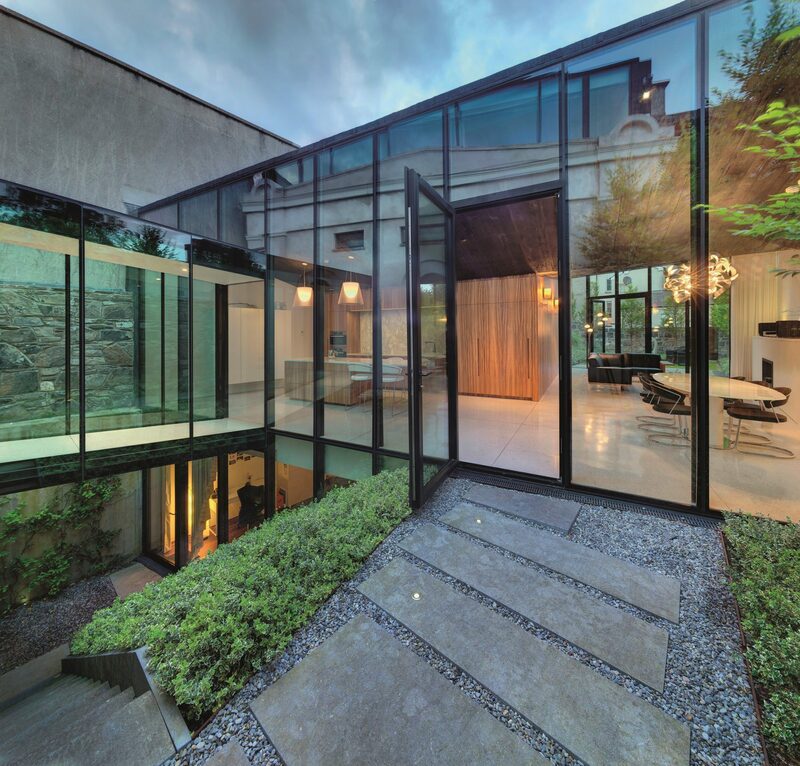 What’s more, Big Glass/Reynaers systems are low maintenance. Thermally broken aluminum profiles have the highest strength to size ratio of all high performance window framing systems. With triple glazing in Canada becoming the norm, no other window framing product can offer the same narrow sightlines while maintaining its structural integrity over time.